A colossal limousine and extravagant by definition, the Silver H2 Hummer Limousine is the most unique H2 Hummer offering in the whole of Worcester. 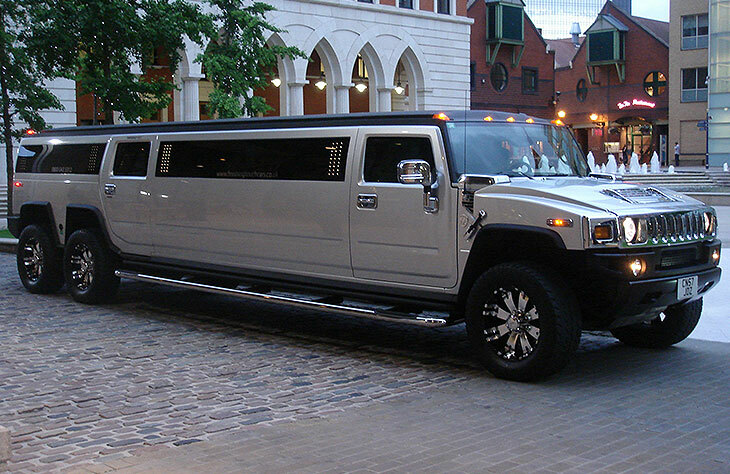 Custom built with 2 back axles for increased attitude, the limousine is the best to hold a celebratory occasion in. It drives on 6 20” black-accented chrome wheels that complement the proud stature of the limo. 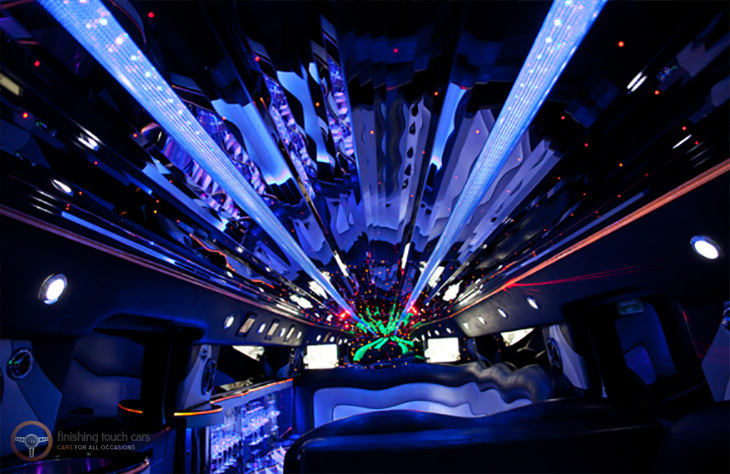 The Silver H2 Hummer is a custom creation, and this is evident in the unique one piece window that has hidden LED lights with a color changing feature. Given its lengthy stretch, made possible by the double axle, there is enough seating provided left and right. 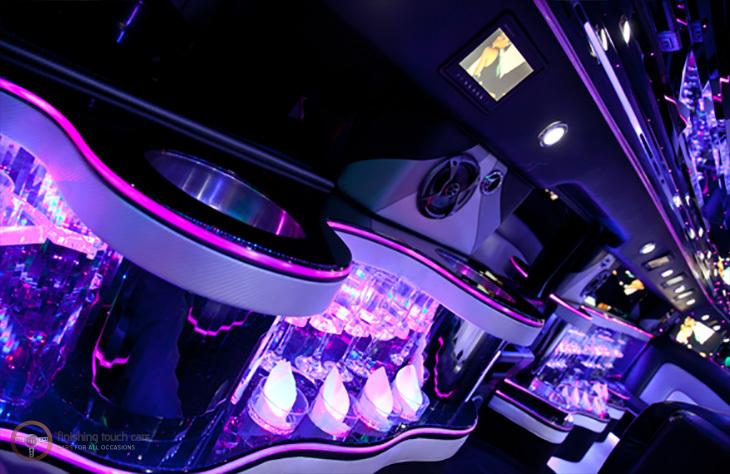 Your entertainment options are many, and they include 7 LCD TVs and a level 5 surround sound system with subwoofers to get your party going. The end to end mirrored ceiling accentuated with LED lighting and lasers create a surreal party environment. Bubbly drinks are provided, and they are reserved for only the adults. 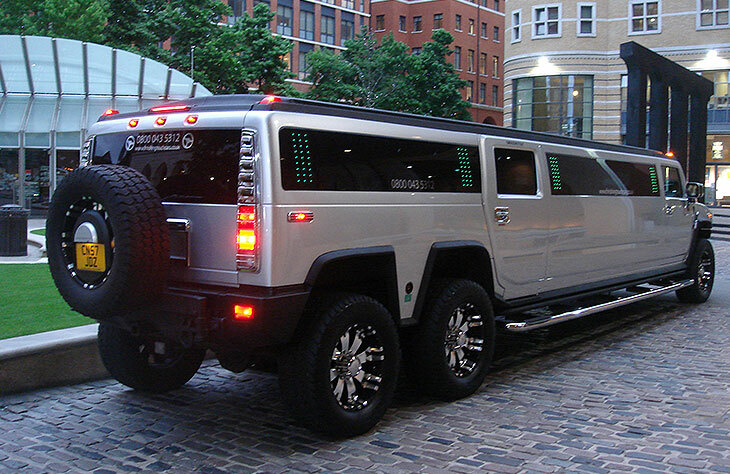 This is one rare Hummer limousine available in Worcester.